TDP is part of the "grand alliance" that includes the Congress, the CPI and the Telangana Jana Samiti. 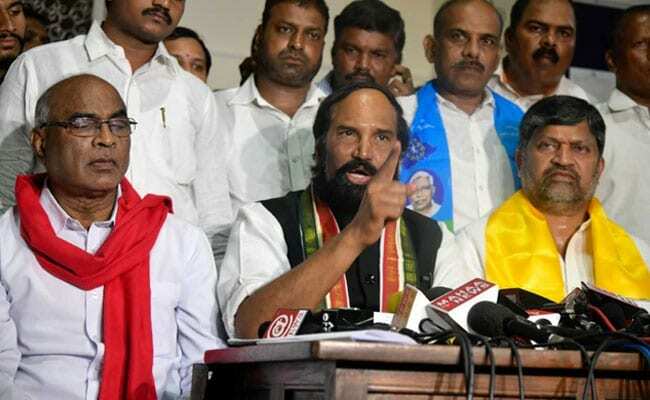 The Telugu Desam Party (TDP) released its first list of nine candidates for the December 7 Assembly elections in Telangana. TDP is part of the "grand alliance" for the polls and the party is expected to contest 14 seats. The alliance comprises the Congress, the TDP, the CPI and the Telangana Jana Samiti (TJS). The total number of assembly segments in the state is 119. The candidates announced by the TDP include -- Nama Nageswara Rao (Khammam assembly constituency), Revuri Prakash Reddy (Warangal West), S Venkata Veeraiah (Sattupalli), Kothakota Dayakar Reddy (Maktal) and Erra Sekhar (Mahabubnagar) among others. TDP announced the list after its alliance partner Congress released its first list of 65 candidates. The process of filing nominations began Monday with the Election Commission issuing a notification in this regard.